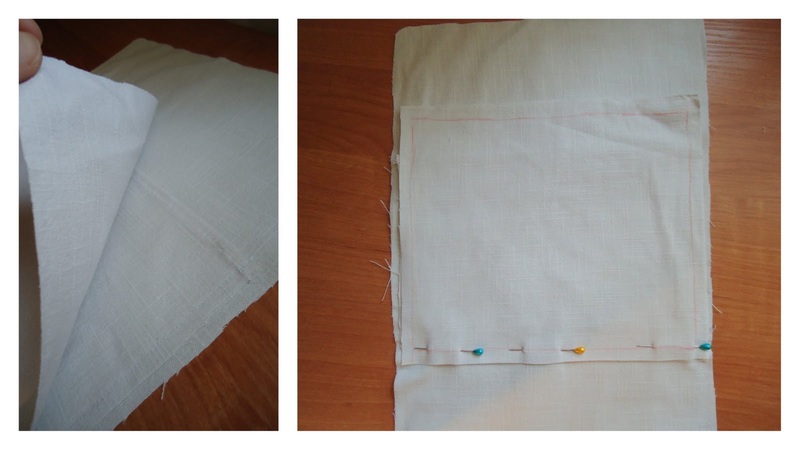 As I promised in my previous entry, I made a tutorial as soon as got my sewing machine back. So here it is! Firstly, a short history. Backpacks are considered to be for pupils only. Well, I wanted a backpack! 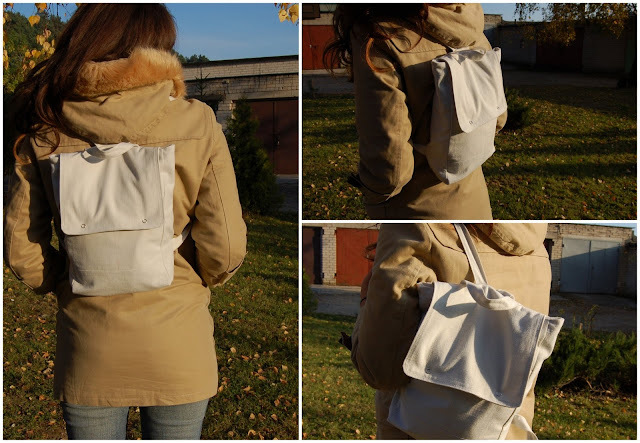 I didn't want it to look like a backpack for school, so I made it from white linen (actually, I cut linen pants :D ), medium size and very minimalistic. H - zipper part, size 4x28 cm (two pieces, this detail is for 22 cm zipper + bag depth, which is 6 cm = 28 cm). Cut the required amount of details from the outside fabric. 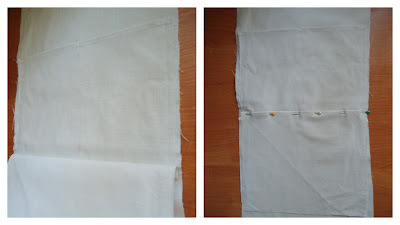 Don't forget to leave fabric for seams (about 1,5 cm)! 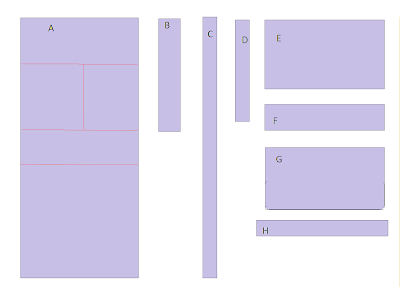 For the inside, cut: one detail A, 2 B details and a pocket in a size you want (I cut size 11x14 cm). Take the pocket detail (F). 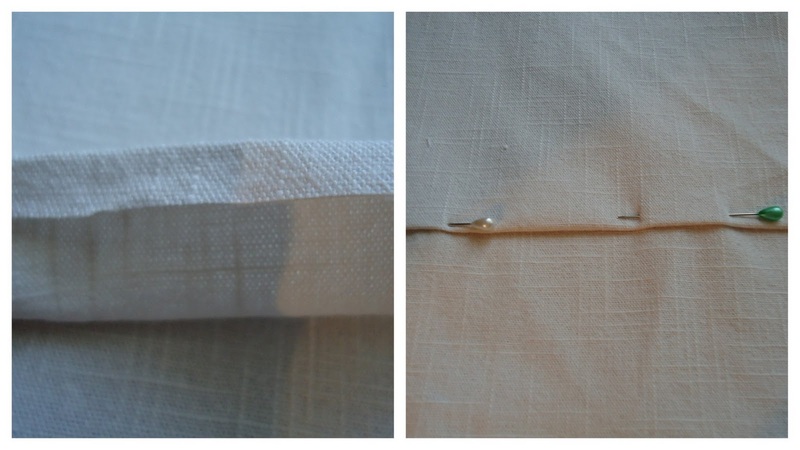 Fold the top (one long edge), secure with pins and make a seam. Mark the place your pocket starts: take the bag bodice (detail A, right side facing up), at the long edge mark 8 cm and 24 cm (mark at 8 cm is the top of the pocket, mark at 24 cm is the end of the pocket). 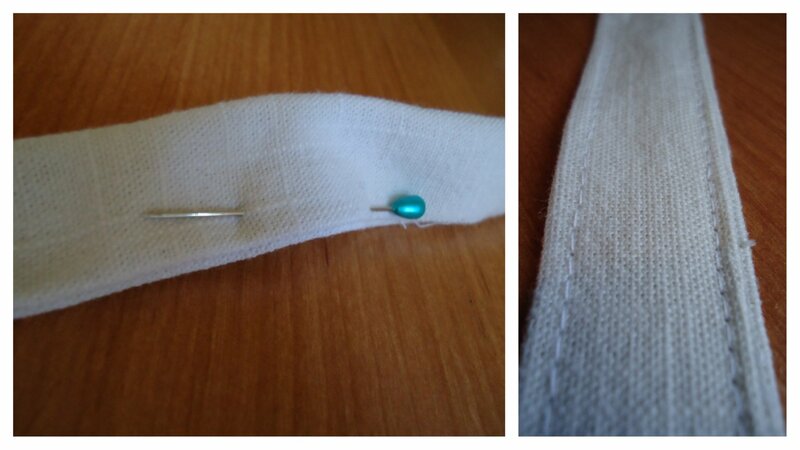 Put the pocket on the bodice at the marked places and pin. 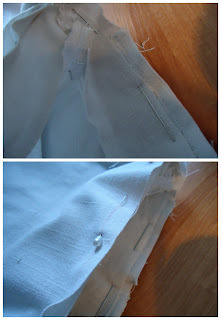 Put pins in the middle of the pocket - you will make a seam here and have 2 pockets this way. Sew sides and the middle of the pocket. Don't sew the end of the pocket yet. 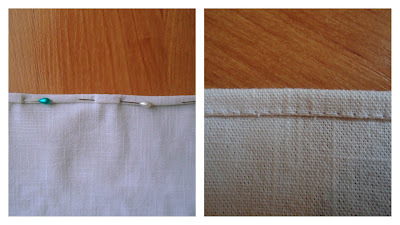 Take the extra bottom (detail E), put it on the pocket wrong side up. Pin one bottom edge to the end of the pocket. Sew. Take the bottom from the pocket and pin it. 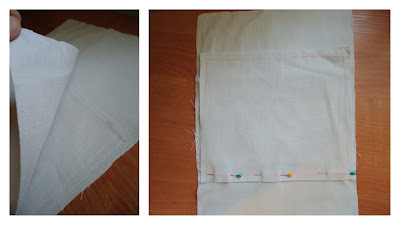 Take the remaining long edge of the extra bottom, fold it, secure with pins and make two seams (as in the picture above). Put the bodice with all the details away. Take both flap details (detail G), put the together (wrong sides outside), pin them together and sew (don't sew the long edge). Make triangle cuts where the round corners are (in this way, when we turn them inside out the corners are nicely round). Turn the flap inside out, secure sides with pins. 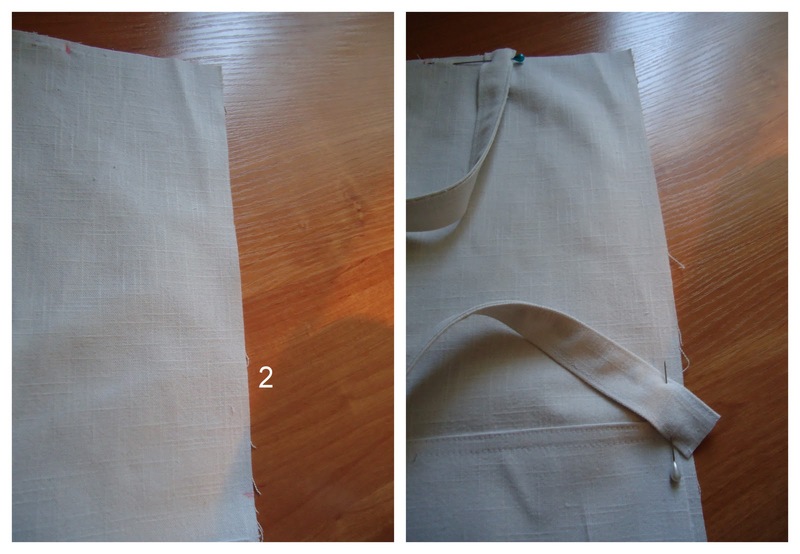 Take a strap detail, fold it in half and push raw long sides inside. Pin and sew both long sides of the detail. The strap width is 2,5 cm. Repeat this step to make a second strap and a handle. Take zipper detail (detail H). Since the part is 28 cm length and the zipper is 22 cm length, put the zipper in the middle, secure with pins and sew. 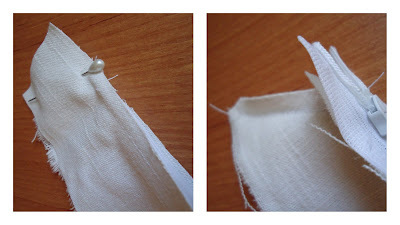 Repeat it to the other side of the zipper with the second zipper detail (detail H). Sew two H details together by making 45 degree seams from both ends of the zipper. Zig-zag raw edges. 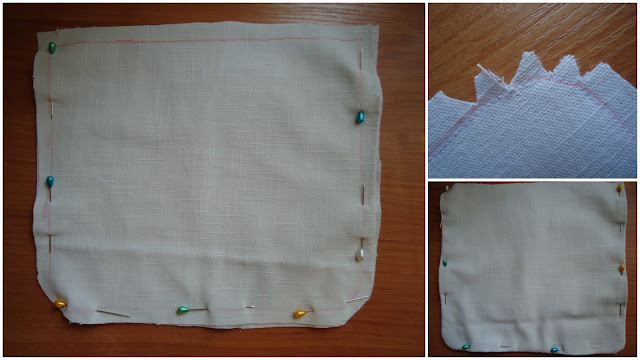 Take the inside fabric and put on the inside pocket. 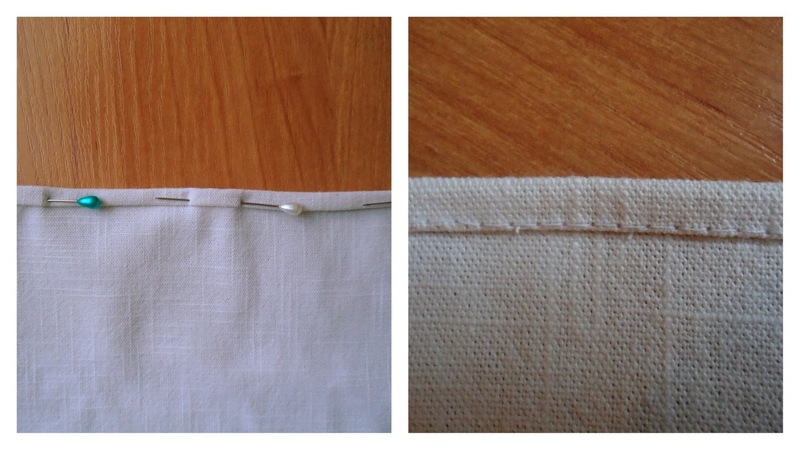 Fold the top and make a seam. Pin sides and the bottom of the pocket to the inside bodice and sew. Iron all the details you've made so far: this will give a nice finishing. 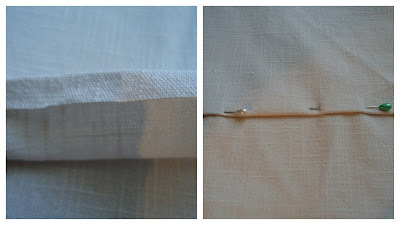 Tipp: I always sprinkle little water on the fabric when ironing and then iron it dry - this gives extra finishing touch. Take the bodice part (right side facing up) and at the back side (the one that doesn't have a pocket) mark 9 cm from the side (at the top) and 23 cm from the top (at the side). Attach a handle to the marked places. Attach the bottom part of the strap with a 45 degree and cut the unnecessary fabric . Make seams. Repeat with another strap. 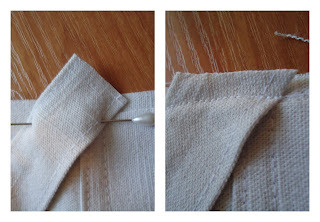 Attack a handle like in the photo and make seams. Take a flap, put it on the handles like in the photo. Sew. Take a side part and pin it to the bodice. Sew together. Repeat to the other side and the inside sides. Make one hole in the inside side (you will have to turn the bag inside out threw it). Turn the main bag bodice inside out and pin the zipper part (I hope you can see it in the photo). The zipper must be open. Sew. 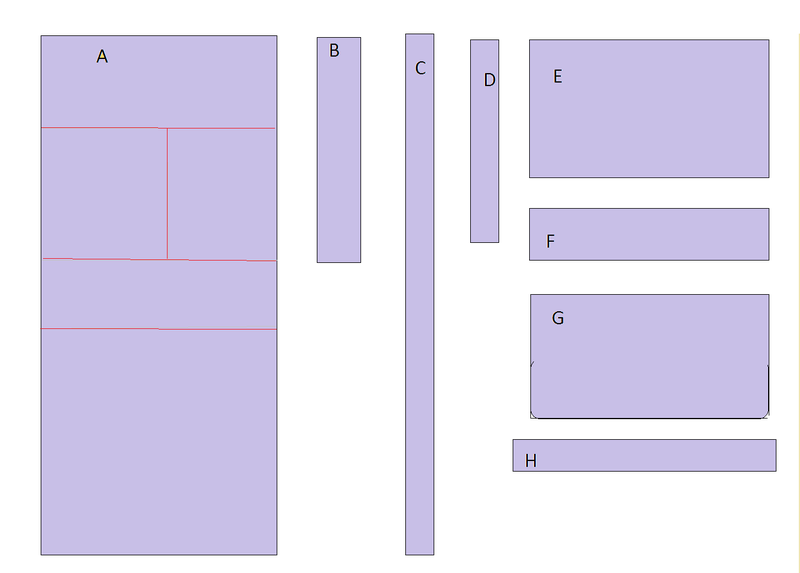 Take inside and outside parts, make sure the wrong sides are outside, and pin the tops together. Sew. Turn the bag inside out threw the hole in the lining. Push the lining to the inside of the bag. Iron the top of the bag. Put the press buttons at the end of the flap and pockets. It's a really cute little bag, good work! wow! Thanks to you I will have nice time with my sewing machine this weekend. Thank you once again.